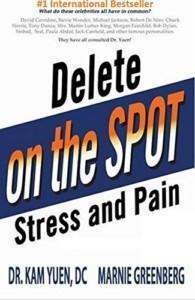 Delete the Cumulative Effects of Your Stress & Pain and Make Your Dreams a Reality! and Make Your Dreams a Reality! YES! I Want Marnie to Accelerate My Potential - Click Here! Is Your Past Holding You Back? Fulfill All Your Future Needs, Wants, and Desires? Creating the Life You Envision and Deserve! An explanatory monograph in PDF format corresponding to each module's subject matter. Marnie clearly explains the processes behind strengthening and deletion, as well as expanding on the specific topic and issues involved in each of the activations. Delete Your Stress LIVE! Join Me On Facebook. ©2019 Marnie Greenberg LLC. All Rights Reserved. FREE! Delete Stress & Pain LIVE! Join Marnie LIVE and she will resolve your stress & pain on the spot!